Taken by Elsie Holloway, Holloway Studio (St. John's, NL). Among those present were Lady Allardyce, Major Wilberforce Bell, Hon. Tasker Cook, Mr. R.G. Rendell, CBE, and Mr. P.E. 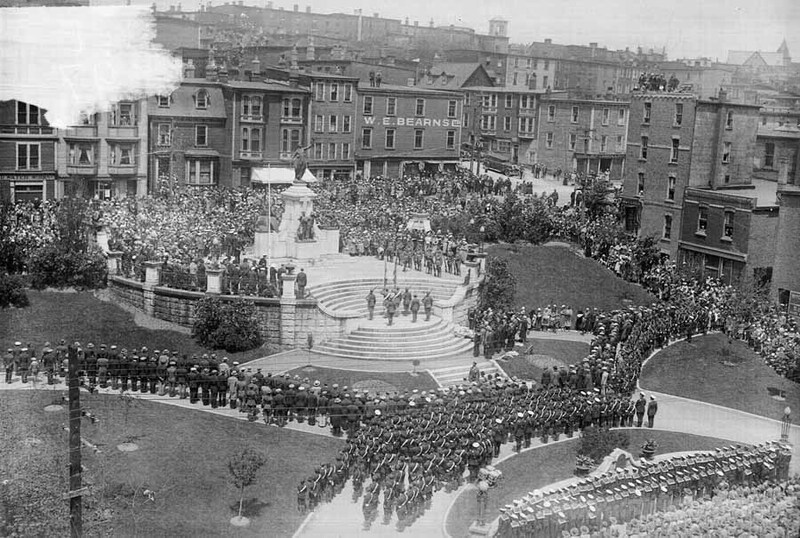 Outerbridge, Chairman and Secretary of the National War Memorial Committee. 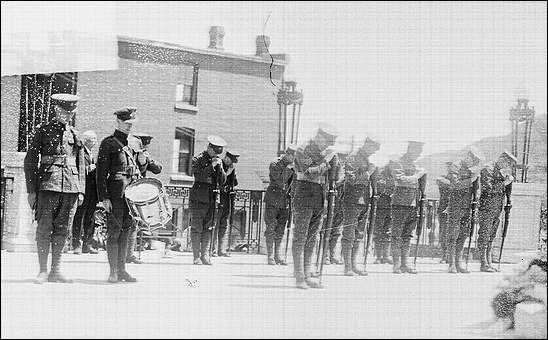 Courtesy of The Rooms Provincial Archives Division (E 46-13), St. John's, NL. Taken by Elsie Holloway, Holloway Studio (St. John's, NL). In attendance: Governor William Allardyce, Lady Allardyce, National War Memorial Finalization Committee (left) and Lt. Col. Thomas Nangle. 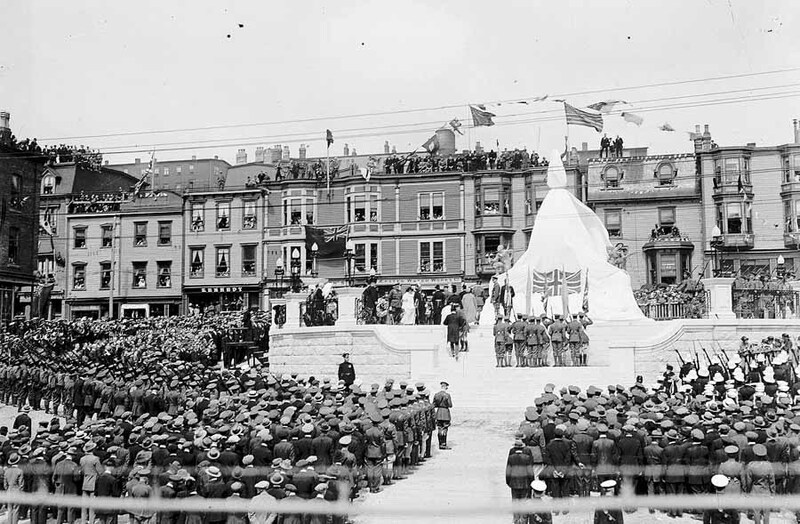 The War Memorial was officially unveiled 1 July 1924. Courtesy of The Rooms Provincial Archives Division (E 46-8), St. John's, NL. Courtesy of The Rooms Provincial Archives Division (B 5-174), St. John's, NL. 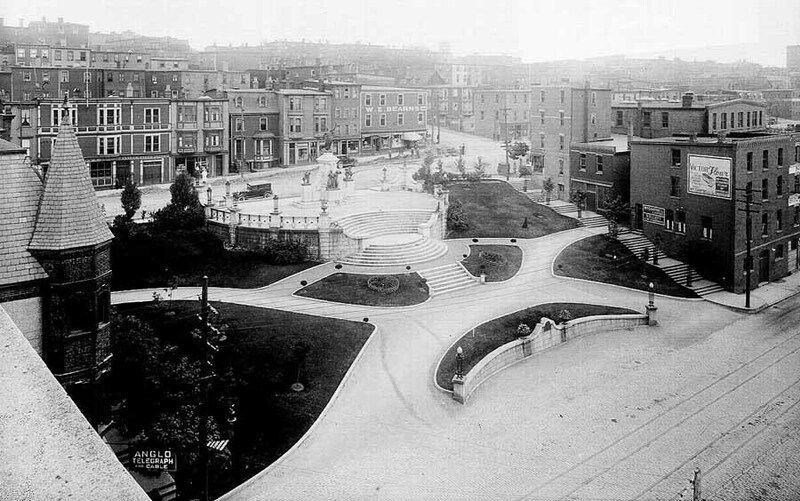 The photograph was shot from a high point of view on Water Street, looking towards Duckworth Street and Kings Rd. 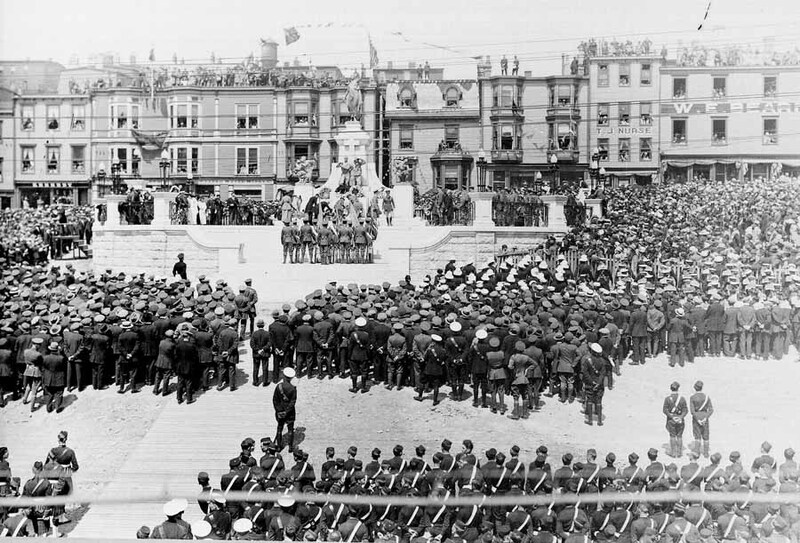 Colour Guard in front; Royal Newfoundland Regiement and military at Memorial; Boy Scouts and Brigades in lower foreground. 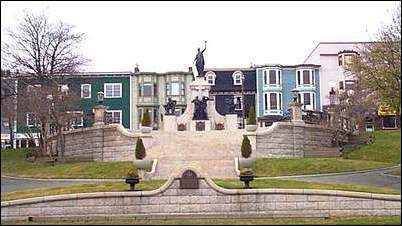 Spectators on Duckworth Street and around Memorial; people also on roofs. Courtesy of The Rooms Provincial Archives Division (E 47-40), St. John's, NL. 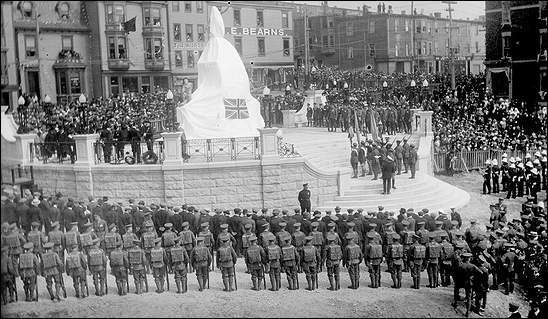 Governor William Lamond Allardyce formally accepts the Memorial on behalf of the people of Newfoundland from Robert G. Rendell, chair, Newfoundland War Memorial Committee. Courtesy of The Rooms Provincial Archives Division (A 11-171), St. John's, NL. Courtesy of The Rooms Provincial Archives Division (E 1-47), St. John's, NL. Courtesy of The Rooms Provincial Archives Division (E 35-10), St. John's, NL. 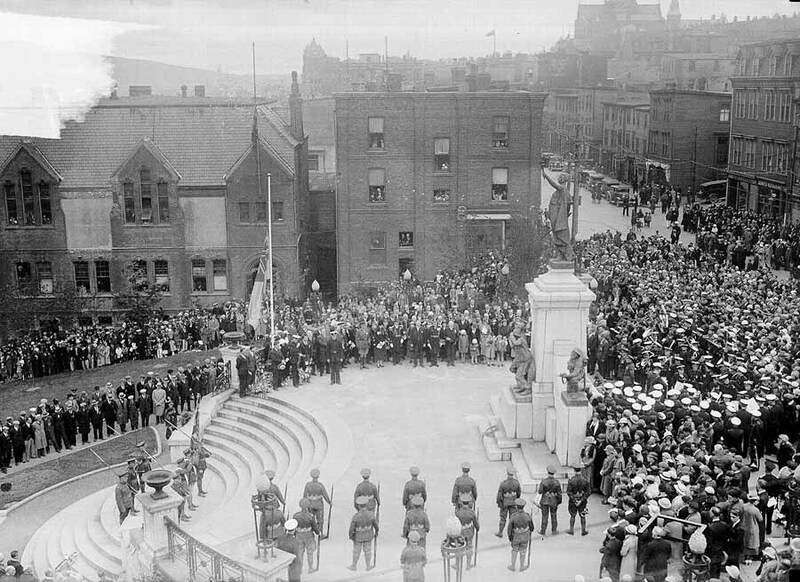 Ceremony at National War Memorial, St. John's. 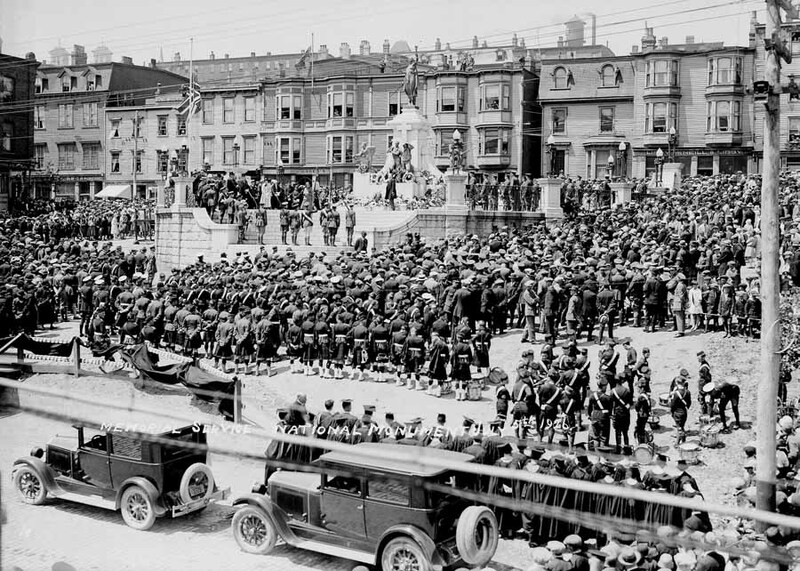 Large crowd gathered around War Memorial; men, women, children, soldiers in Royal Newfoundland Regiment uniforms, men in kilts, a graduation class in caps and gowns. Vehicles and storefronts are also visible. Courtesy of The Rooms Provincial Archives Division (E 14-10), St. John's, NL. Courtesy of The Rooms Provincial Archives Division (E 8-60), St. John's, NL. Courtesy of The Rooms Provincial Archives Division (E 8-58), St. John's, NL. 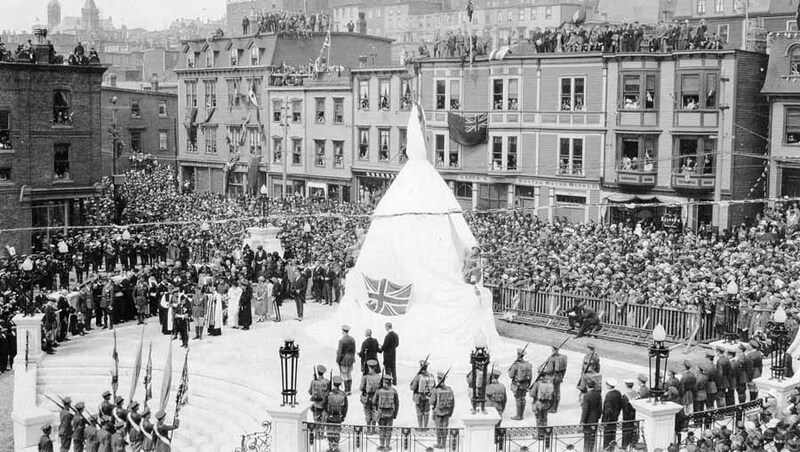 Unveiling the National War Memorial, St. John's, July 1, 1924. 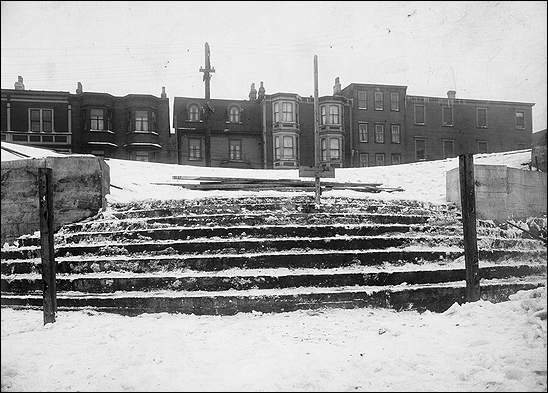 Courtesy of The Rooms Provincial Archives Division (NA 1527-2), St. John's, NL. 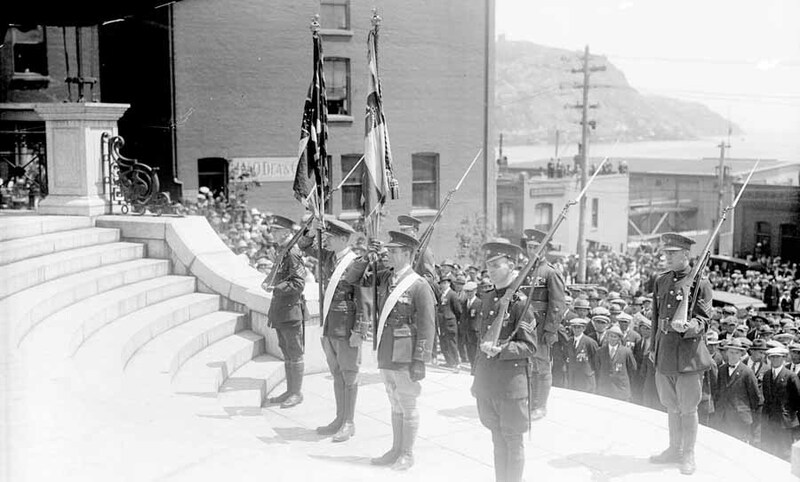 Honour Guard at the National War Memorial unveiling, St. John's, July 1, 1924. Courtesy of The Rooms Provincial Archives Division (E 8-29), St. John's, NL. 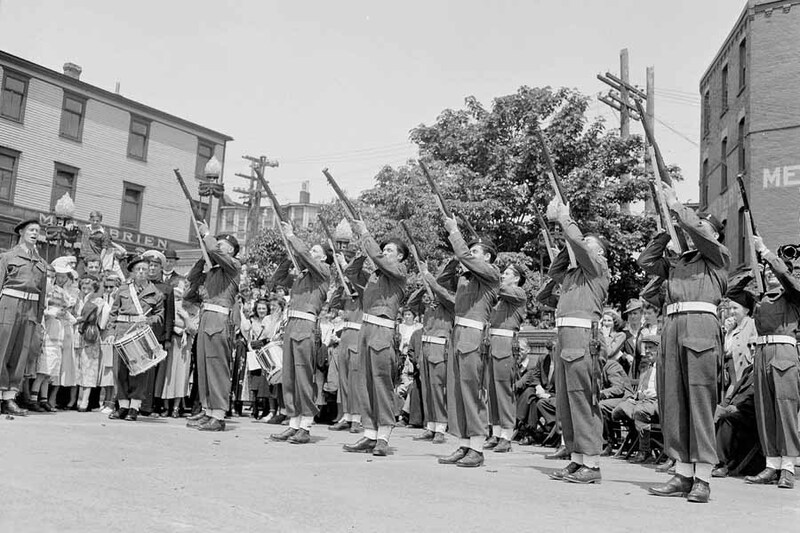 Soldiers firing salute at National War Memorial, Water Street, St. John's, n.d. 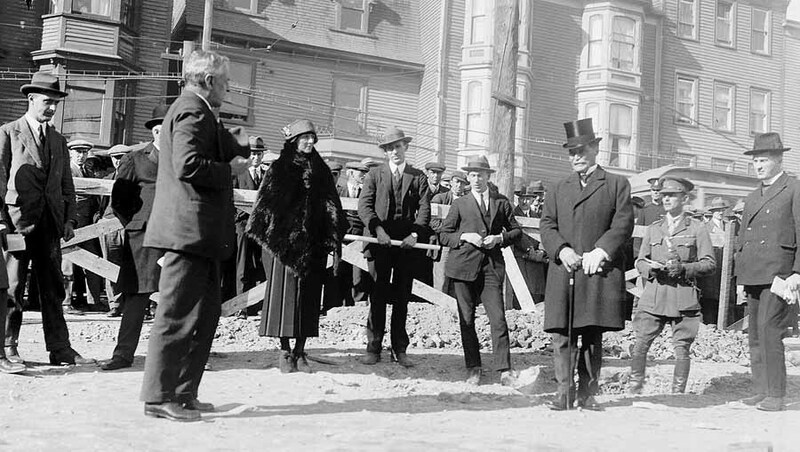 Courtesy of The Rooms Provincial Archives Division, St. John's, NL. Courtesy of The Rooms Provincial Archives Division (E 23-23), St. John's, NL. Courtesy of The Rooms Provincial Archives Division (E 7-3), St. John's, NL. 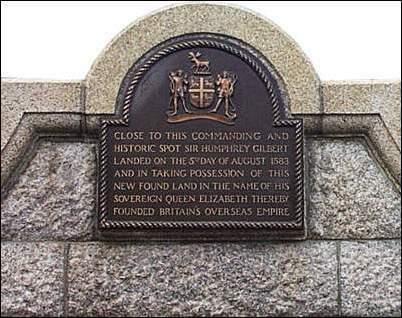 The inscription on the monument reads: "Close to this commanding and historic spot Sir Humphrey Gilbert landed on the 5th day of August 1583 and in taking possession of this new found land in the name of his sovereign Queen Elizabeth thereby founded Britain's overseas empire."